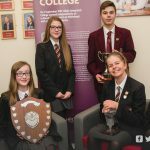 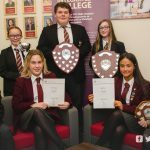 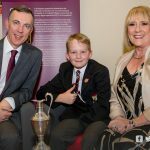 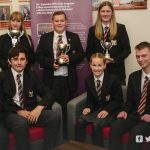 Thursday 25 October 2018 marked the official date for Ulidia Integrated College’s Annual Speech and Prize Night. 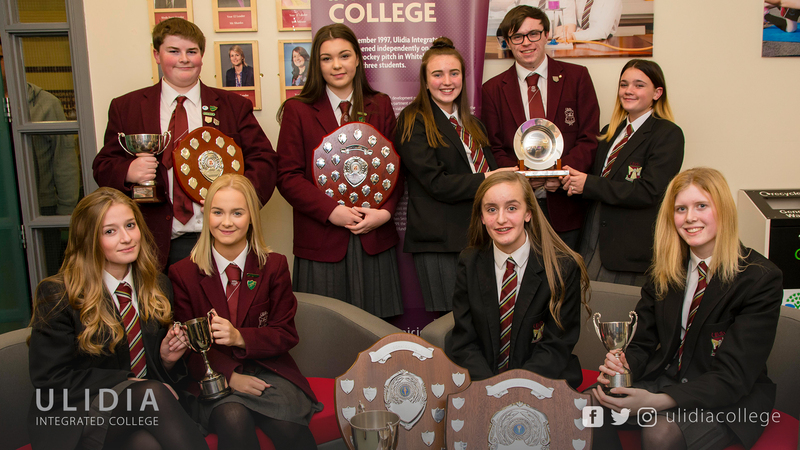 Staff, Board of Governors, invited guests including Founding Principal, Mr Eugene Martin and parents joined the prize winners to share in the success and achievements of pupils for the year 2017/2018. 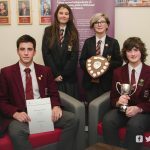 Dr Olwen Griffith, former Deputy Principal, was formally invited as guest speaker and to join the Board of Governors in the official presentations. 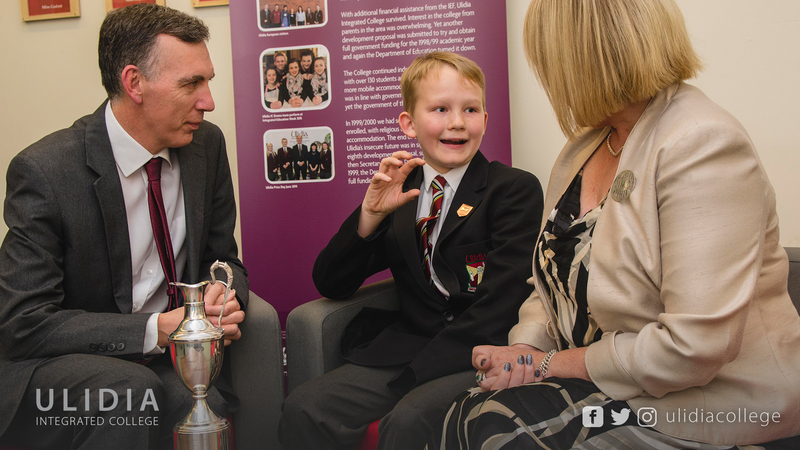 Ulidia Integrated College offers a wide range of subjects to meet the needs of its pupils. 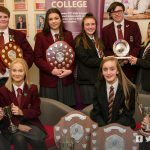 Awards and Trophies were presented for GCSEs, A Levels and attendance as well as creative arts, music, sport and Duke of Edinburgh. 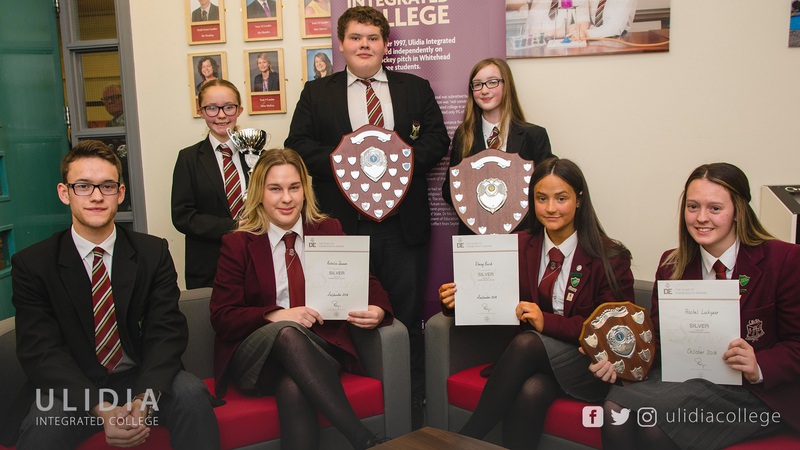 Pupils were also recognised for their outstanding contributions to the ethos of the school and their commitment to school life. 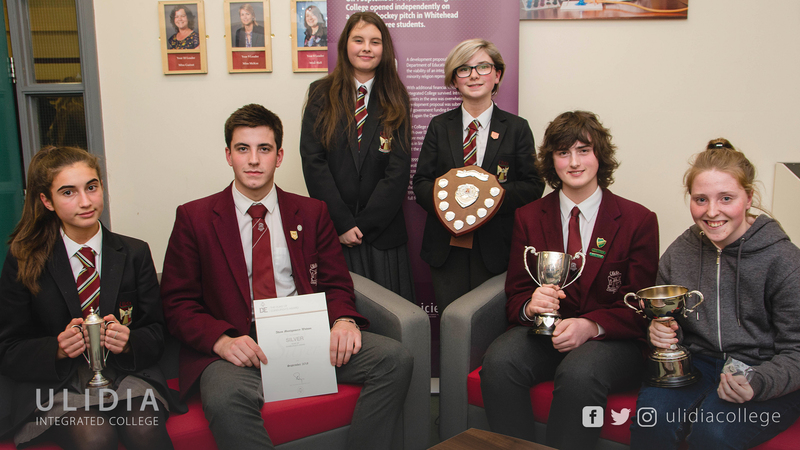 A special mention should go to the following pupils who have excelled through extra-curricular activities: Rhys Millar for his outstanding contribution to the golf team, Grace Kennedy for her contribution to school sport in general and Michael Wilson who has succeeded in Rugby and Athletics. 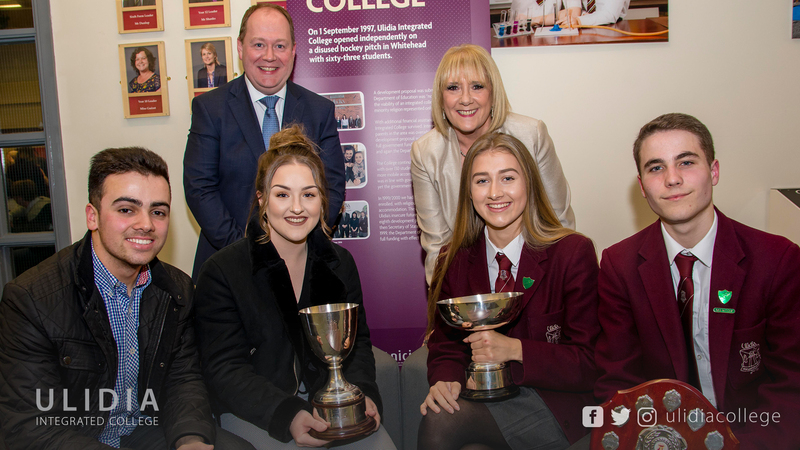 The Academic Cup was awarded to Sophie Adair at junior level for her top scores at KS3 assessments and to Reshma Mathew for outstanding results at GCSE. 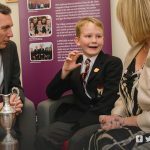 The Ernest Walton Cup for outstanding performance in Science was awarded to Ashton Hamilton at KS 3 level for his determination and passion for the subject. 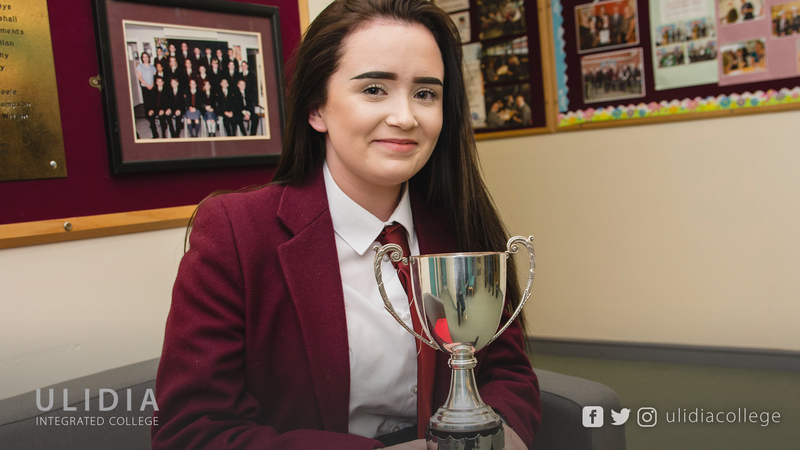 At KS4 this was awarded to Leah Curran for outstanding results and contribution to this subject area. 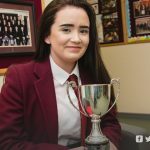 Ciara Murray, who was awarded the Ulidia Cup for the student who best personifies commitment and determination in the pursuit of excellence. 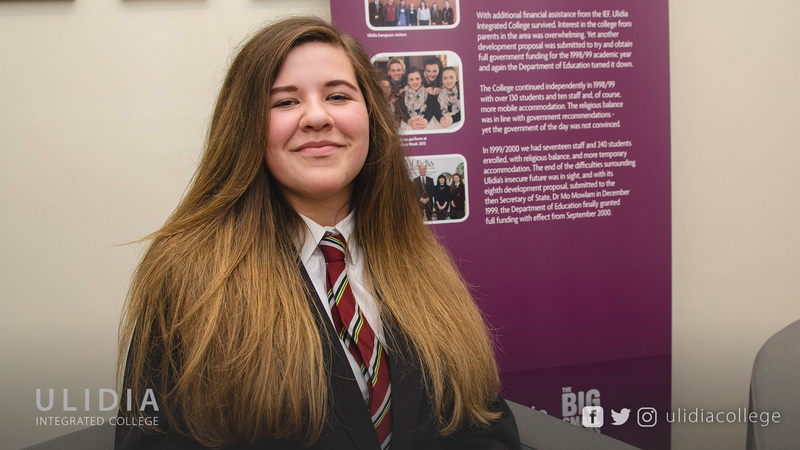 Last year her art work was selected to lead the annual International Women’s Day- ‘100 Years On’ event in Belfast. 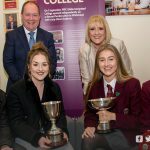 Her design was the front cover of all the official programmes for IWD 2018. 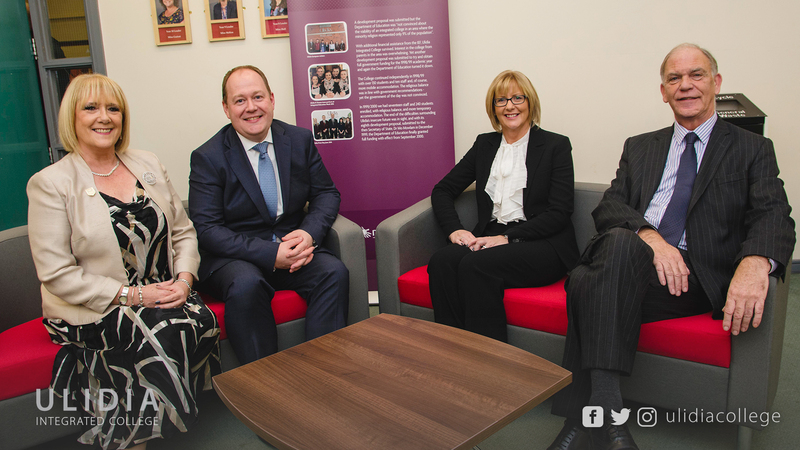 This was hosted by Mid and East Antrim Borough Council, through its Good Relations Programme. 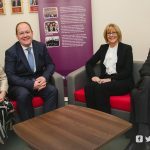 She also took part in the biggest live art event in the country in June 2018 to celebrate the centenary of Women having the right to vote. 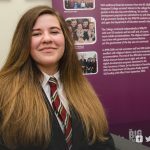 More recently she excelled during her work experience, where the employer could not speak more highly of her enthusiasm and initiative. 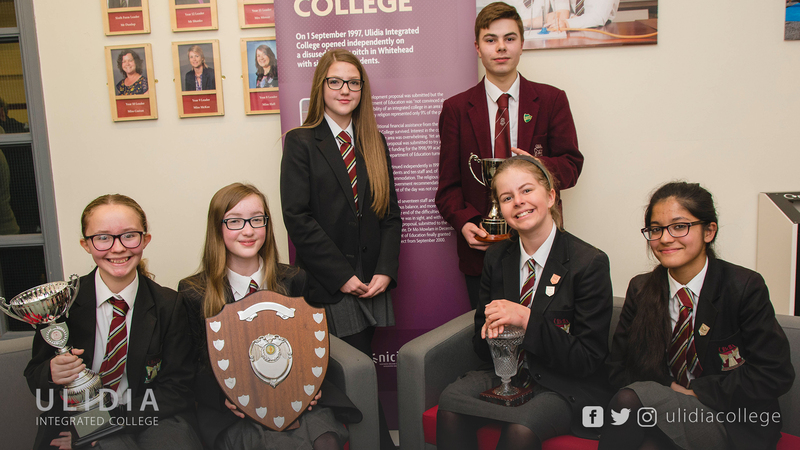 Amy Davis was presented the Jay Cullen Memorial Shield for the student who has shown outstanding contributions to mentoring younger students. 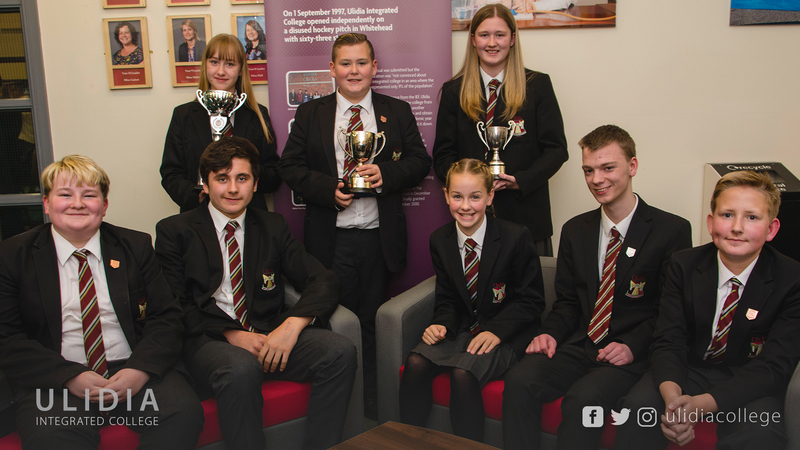 Amy was selected by her Year 8 mentees as she was always ready to listen, help them to settle into the new surroundings and understand the procedures of their new school and she always displayed these qualities in a friendly, happy and caring manner. 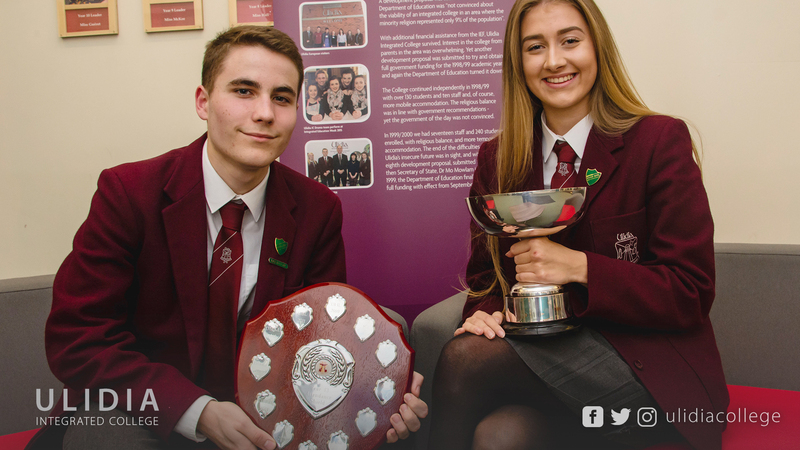 The Community Shield for involvement and commitment to community events was awarded to Jamie Peart for her involvement as a guide runner for the blind in local park runs and to Leanne Ku for raising awareness about single use plastics. 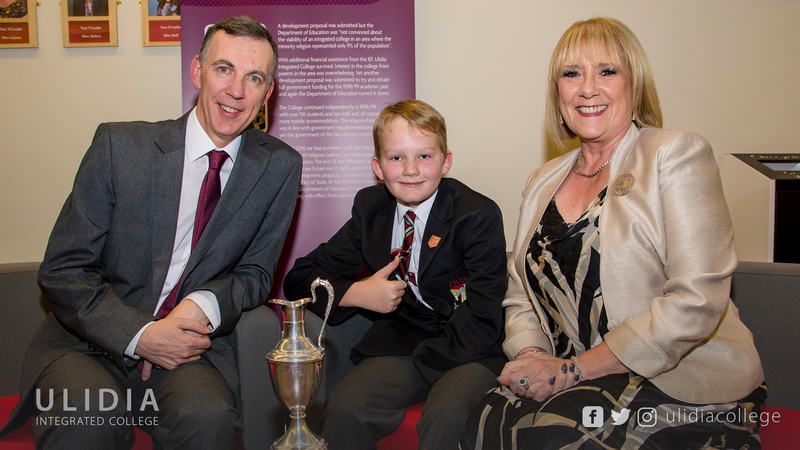 She was the instrumental force in the Ulidia ReCycle Campaign. 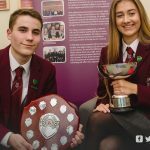 Finally, the Principal, Governors and staff of Ulidia Integrated College would like to thank our Head Boy (Johnathan Armstrong) and Girl (Aimee Johnston) of 2017-2018 for their dedication and commitment whilst holding this role.